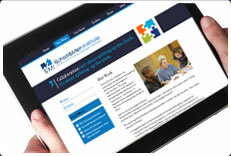 School & Main Institute is a nationally recognized training and partnership development organization. We help organizations work together – across institutional lines or in “uncommon” coalitions – to improve their communities and the lives of young people living in them. Just as our name suggests (think: School & Main streets ), we love "intersections"-- the places where lines meet. Policy and practice. Rhetoric and reality. Converging interests. Keen focus on results - collaboration as more than "proposal partnerships" and meetings! School & Main Institute staff and faculty have years of expertise as organizational leaders, program developers, trainers, and facilitators working at the intersections of community life, where the systems that support young people connect - or should. We have experienced the rhetoric of community change initiatives and know how to help people who manage the reality of them. Over the years, SMI has been recognized for the extraordinary effectiveness of our work in communities by a variety of national organizations, including FORTUNE Magazine, the US Chamber of Commerce's Center for Workforce Preparation, the Council on Aid to Education and the American Youth Policy Forum.